Can You Sue For An Injury Sustained At A Sporting Event? When a 2-year-old girl was severely injured by a foul ball at Yankee Stadium in September, baseball fans around the nation asked: Could this happen to me or to my child? And if someone is injured at a baseball game or another sports event, does that person have any legal recourse? Keep reading, and you’ll learn those answers and more about the safety and rights of sports fans. When you go to the ball game, you expect an afternoon or evening of fun and entertainment. What you do not expect is that you – or someone you love – will be gravely injured and rushed to an emergency room. Baseball fans are severely injured by foul balls, not frequently, but regularly enough to raise real concerns. In October, for example, right here in Chicago, a 60-year-old Cubs fan filed a lawsuit against the Cubs and Major League Baseball (MLB). Jay Loos was blinded in one eye, suffered a jaw injury, and had his nose broken when he was struck in the face by a foul ball at Wrigley Field in August. He’s had three surgeries, expects that more will be needed, and seeks over $50,000 in damages. WHAT HAS BEEN THE BASEBALL COMMISSIONER’S REACTION? Both the Cubs and Yankees have stated that they will add more protective netting to make their fans safer, and the Commissioner of Major League Baseball, Rob Manfred, has asked every team to assess the risks from foul balls at their home fields. While these moves are commendable, they don’t really address an important legal matter that sports fans need to know about. That matter is liability. When you buy a ticket to see the Cubs, the Sox, or any other Major League Baseball team, read the small print. That’s where the risk to fans is spelled out and the team’s liability is limited. You’ll learn more about that small print in a moment. WHAT IS A BALL PARK’S “ZONE” OF DANGER? In the magazine’s September 21, 2017 edition, Michael McCann, the Associate Dean for Academic Affairs at the University of New Hampshire School of Law, explains that “teams must provide protective screening to fans seated in a ‘zone of danger.’ This zone includes seats behind and near home plate.” The logic is that these fans don’t have sufficient time to react to foul balls – which can move at over 100 miles per hour. “Therefore,” McCann explains, “courts have reasoned, teams must place adequate netting or screening to protect these fans.” However, spectators outside the “zone of danger” are in seats that provide more reaction time, and courts usually presume that these fans have assumed the risk of injuries from foul balls. HOW ARE TEAMS PROTECTING THEMSELVES FROM LIABILITY? Additionally, stadium announcers typically ask spectators to stay alert, and most MLB stadiums have signs posted as reminders. The tickets, announcers, and signs give the teams some legal cover and make it difficult to sustain a claim for damages. The Nevada justices believed that without limits on a baseball team’s liability for fan injuries, too may fans would sue, and teams would have to increase ticket prices to pay for more liability insurance. Those dire predictions may or may not be true, but for now, limited liability is the law. With several notable exceptions, the courts have favored teams over fans when injuries lead to trials. WILL SAFETY IMPROVE FOR BASEBALL FANS? But that favoritism might be changing. After a 6-year-old girl was hit by a foul ball at an Atlanta Braves game in 2010 – causing a skull fracture and brain injuries – Georgia courts allowed the family’s personal injury lawsuit to proceed, and the Braves later settled with the family out of court. And another case, currently pending, has the potential to change the way all courts interpret the Baseball Rule. At Yankee Stadium on a drizzly day in 2011, Andrew Zlotnick’s view of the game was blocked by umbrellas, and a foul ball that he purportedly didn’t see caused permanent vision damage and other injuries. Zlotnick’s lawsuit contends that the Baseball Rule should not apply in his circumstances. An appellate court currently has Zlotnick’s case under review. Every case is different. If you or someone you love is injured by a foul ball or for any other reason – at Wrigley Field, Guaranteed Rate Field, or at any other sports venue in the greater Chicago area – speak at once regarding your legal rights and options with an experienced Chicago personal injury attorney. That attorney will review the details of the incident and determine if you have grounds to take legal action. 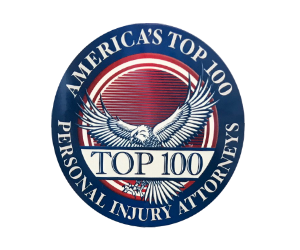 HOW DOES ILLINOIS PROTECT INJURED VICTIMS OF NEGLIGENCE? In Illinois, the victims of negligence – who can prove that they are victims of negligence – are entitled by law to full compensation for their medical bills, including treatment in the future if needed, for their lost wages and lost future earning capacity, and for their past, current, and future pain and suffering arising from their injuries. To obtain that compensation, those victims will need help from an experienced Chicago personal injury attorney. The Commissioner of Major League Baseball has personally asked teams to improve safety at major league stadiums. That’s an admission by someone at the very top of professional baseball that safety can be improved. In fact, the Baseball Rule may be on its way out, and fans may be able to expect a safer baseball experience in the near future.